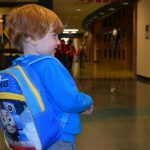 The Independence School District has one of the largest Early Education Programs in Missouri, currently serving more than 850 children. Van Horn High School students Taylor Bushart, Bryanna Counts, Jared Huddleston, Mary Johnson and Emily Kilventon each received multiple awards for their impressive work displayed at the Greater Kansas City Science and Engineering Fair! 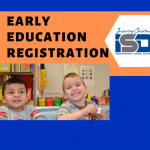 Mark your calendar for ISD kindergarten registration night on Thursday, April 11 between 5 and 7 p.m. at every district elementary school. Thank you to everyone who joined us for Cassell Park Elementary’s ribbon cutting! It was a wonderful evening, welcoming students, parents and community members to see the exciting progress. Six ISD high school students qualified to attend the HOSA – Future Health Professionals International Leadership Conference in Orlando this June. The Independence School District is proud to offer one of the largest summer school programs in the area. 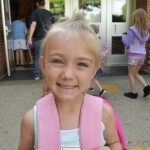 Students were all smiles as they reunited with friends and teachers for the first day! 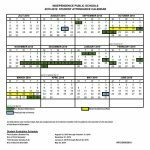 View or print the updated student calendar for the 2018-2019 school year here. 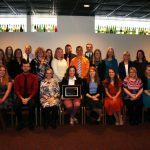 Congratulations to all of our Teachers of the Year in the Independence School District! Advancement Via Individual Determination (AVID) is a learning system that provides students with real-world strategies to accelerate their performance so they can succeed in college and life. 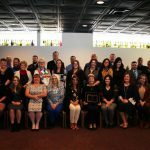 Congratulations Classified Employees of the Year in the Independence School District! Mark your calendars! 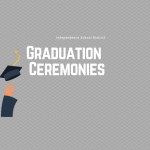 ISD graduation ceremonies will be held Saturday, May 25th, 2019 at the Community of Christ Auditorium. 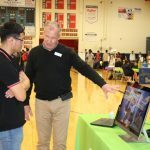 The Independence School District has partnered with Blue Ridge Bank and Trust to offer students interested in business and finance, the opportunity to get real-world, hands-on experience at this first of its kind bank. 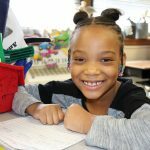 KC Scholars was designed to create life-changing opportunities for thousands of students through scholarships, financial incentives to promote college savings and support services. The scholarship application deadline is March 1. 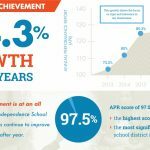 The Independence School District is proud to announce significant growth on the Annual Performance Report. The ISD scored 117 out of 120 points for 97.5 percent. Students across the district are spreading kindness in their schools and our community in celebration of ISD Kindness Week! All 8th-11th grade ISD students had the opportunity to participate in our Academy Jamboree on Thursday, January 24. 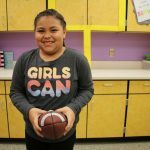 Excitement for learning and the Kansas City Chiefs are inspiring teachers and students in the Independence School District. Sign up now for free instructor-led courses designed to prepare you to attain the academic skills needed to successfully pass the HiSet® exam. 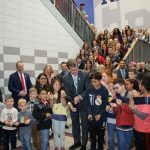 The Independence School District has partnered with the YMCA to offer free swim lessons to every second grade student in the ISD. Listen to these wonderful performances by middle and high school choirs and orchestras as they performed holiday favorites to buildings around the Independence School District. 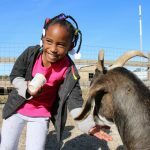 Take a look at these exciting moments as students learn about local and national history, the water cycle, farm life and more through study trips. The Independence School District has received individual Missouri Assessment Program (MAP) testing results. MAP results will be sent home in January with student report cards. With the addition of the ISD’s 20th elementary school, the district has made boundary changes, which will begin in the 2019-2020 school year. These boundary changes are necessary to reduce overcrowding, eliminate mobile trailers and allow for growth at schools across the district.